The “Decision Maker: Case Study Series”, is a body of work that investigates subjective interpretation in the context of decision making tools through three-dimensional (wall hung) prints. In this work the ephemeral meets the mass-manufactured as everyday found objects, such as coffee cup lids and gum packages to name a few, have been cast in plastic through a vacuum seal process. In these pieces the process and form references toy packing that handheld objects are packaged in such as action figures or games however in these prints each container is essentially empty their initial form only alluded to by the form of the molded plastic. 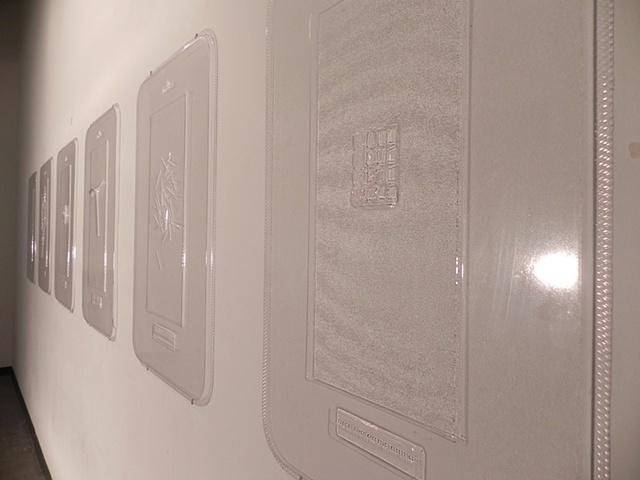 Ultimately these print bring everyday ephemeral objects to a level of research, as each print has an embedded title “Decision Maker” Case Study” followed by their respective serial number and effectively elicits a relationship of each print to elements for interpretation for everyday decisions.